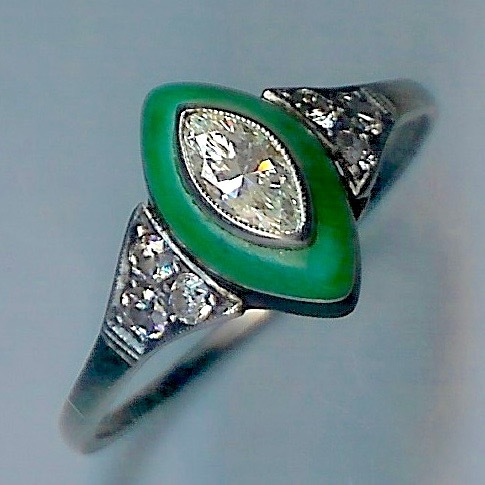 Sensational Rare Art Deco Jade and Diamond Ring [SH8300] - £2,850.00 : loveVintageDiamonds.com, Your Vintage Diamond Dreams Come True! 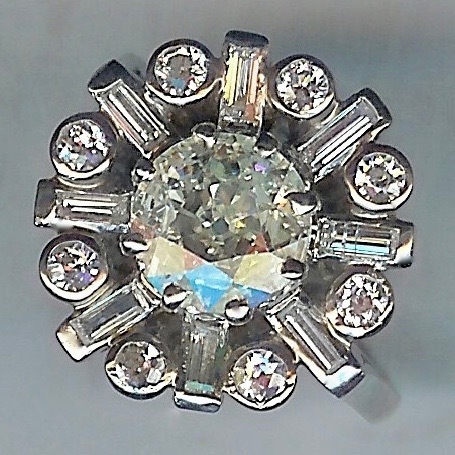 This ring is unusual and rare. It has a marquise-shaped old-cut diamond in the centre, of approx. 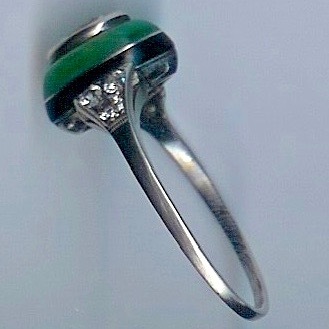 0.50cts, in a mille-grain collet setting. This is surrounded by a beautiful jade surround, also in the marquise-shape. 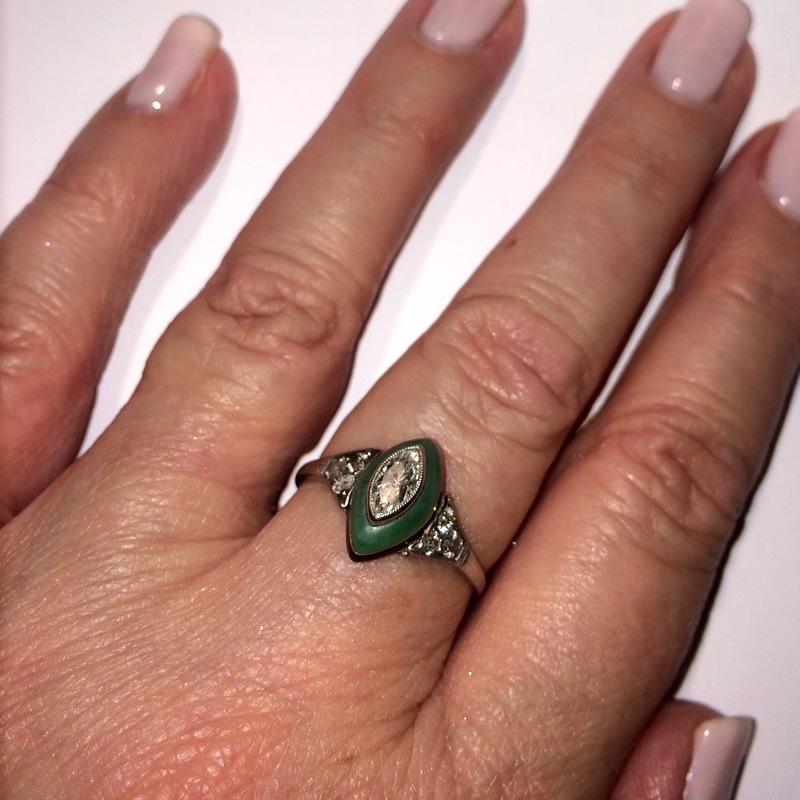 Underneath the jade there is a band of black detail, likely to be onyx, and a simple under-bezel beneath. There are three old round-cut diamonds on either shoulder, totalling no less than a further 0.24cts. The overall size of the crown (not including the diamond-set shoulders) measures approx. 12.5 x 7.5mms. 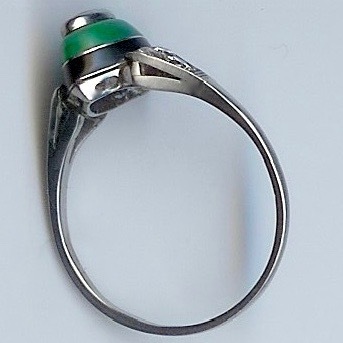 The ring is white throughout, is unmarked, and tests as platinum. The overall weight of the ring is approx. 4.3gms. Currently fits finger size 'T'/2' (UK).